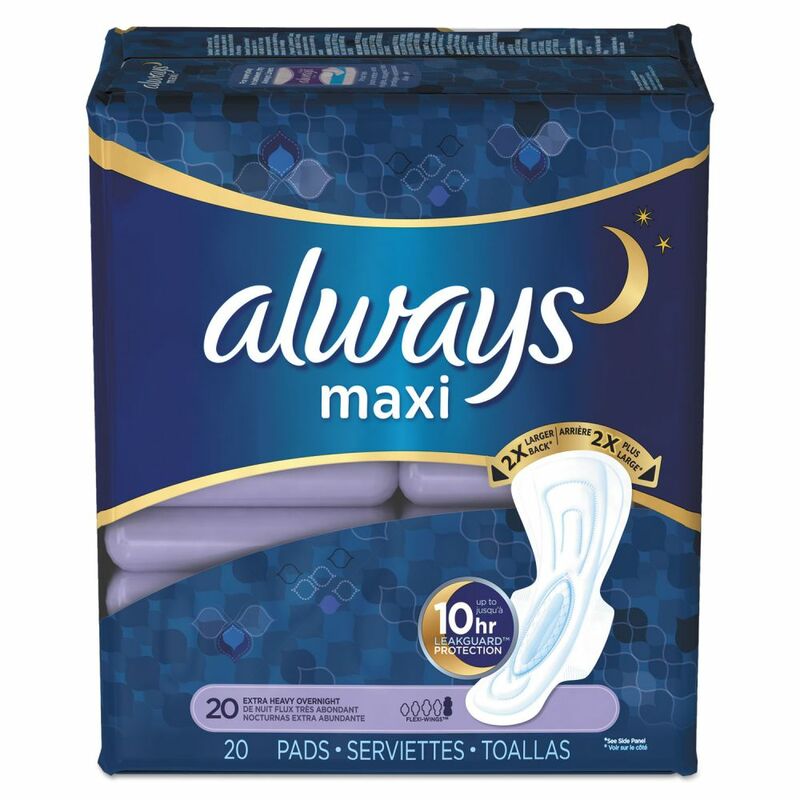 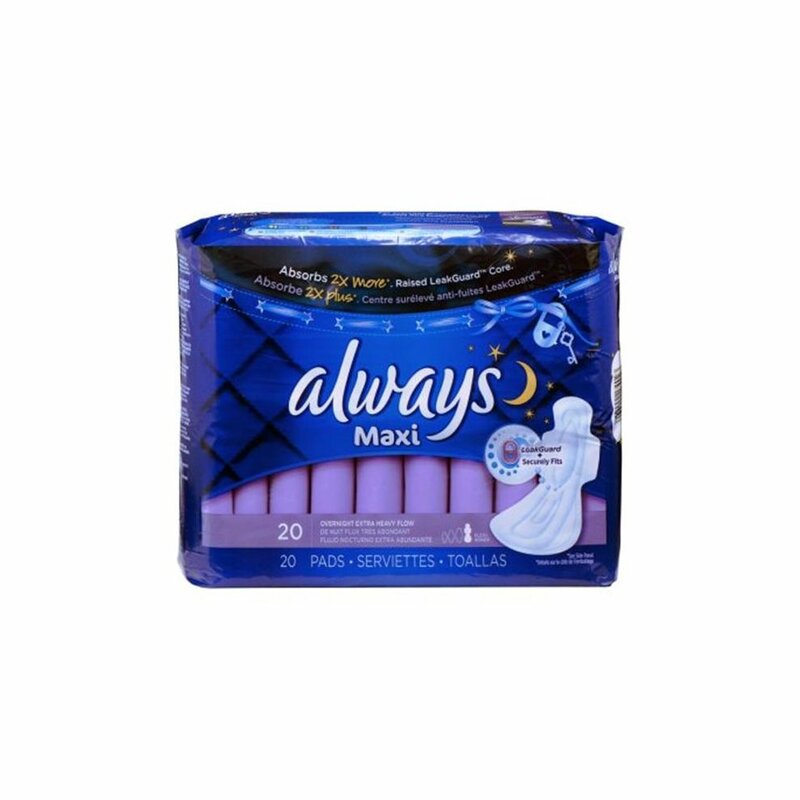 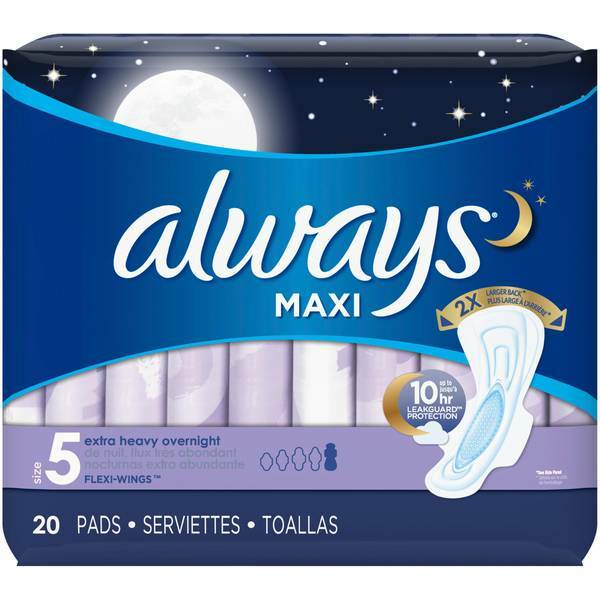 Always Maxi Pad Always Maxi Overnight Extra Heavy Flow w/ Wings - 20 Ct Larger than our regular size and ideal for overnight because they are longer front-to-back than any other Always pad (15 in). 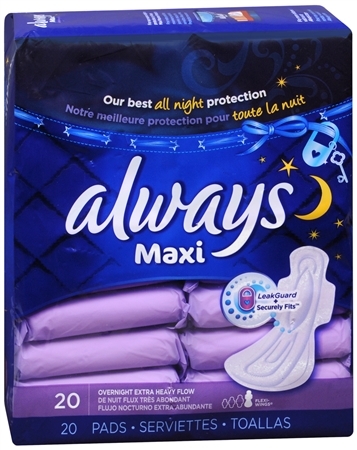 Extra wide back is designed especially for night protection when you are lying down. 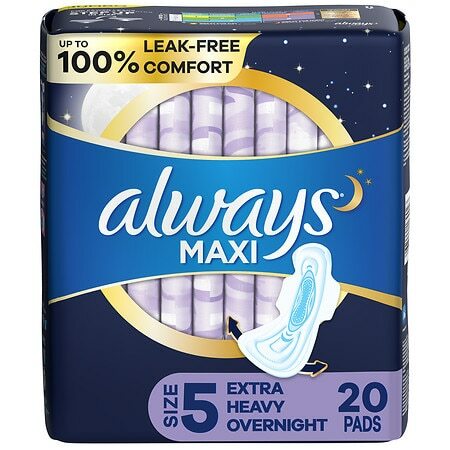 The raised core helps fit your body while the multiple barriers help keep leaks away.